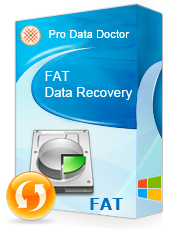 FAT file recovery software is a data recovery utility which scan, locate and safely recovers lost data from hard disk drive partitioned on FAT16, FAT32 file system. 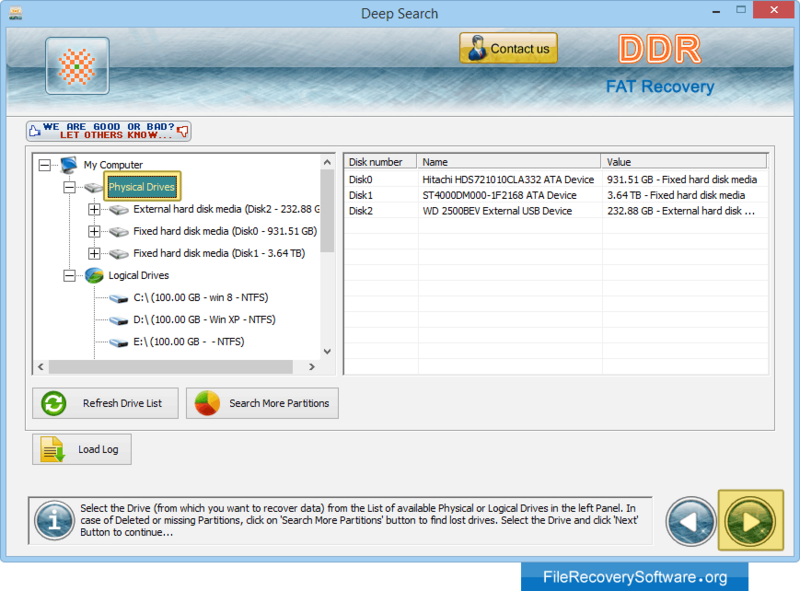 Recovery module performs lost partition recovery even when Windows hard drive has been formatted, repartitioned, or corrupted. 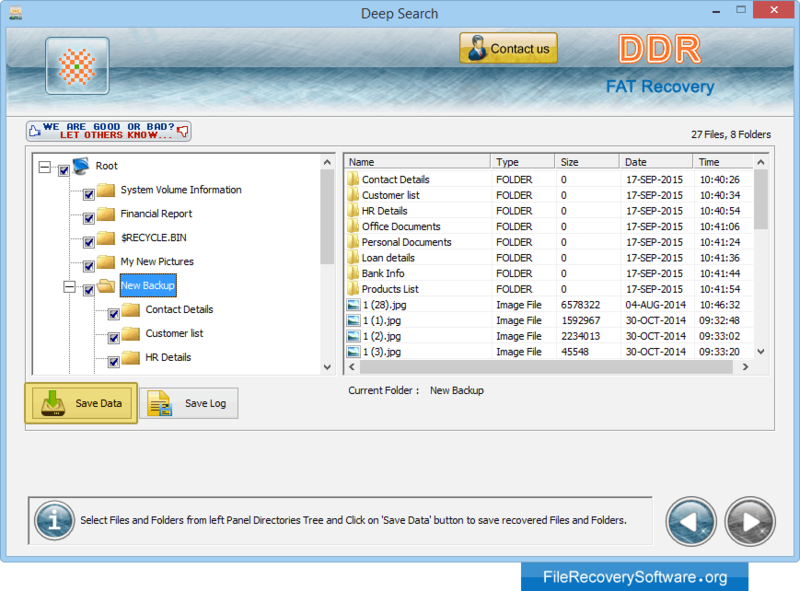 File retrieval tool supports easy data restoration even when file system have been logically damaged or crashed. Software recover accidentally lost or deleted music, pictures, images, songs, audio video in major data loss situations including: Virus or Trojan wiped files, Inaccessible logical drives or volumes, Lost partitions, Lost or corrupted MBR etc. Advanced disk scanning techniques to recover files and partitions that have ever existed on the disk and have been accidentally deleted from FAT hard disk partitions. Unerase deleted partitions data on your hard disk even if the boot sector or file allocation table (FAT) has been deleted or logically damaged. Facilitates recovery of lost deleted or corrupted files from fixed disk drive and external hard drives with support to major branded hard disk formats including SATA, ATA, SCSI, IDE, EIDE and others. Helps to save already scanned files using ‘Save Log’ and ‘Load Log’ options to resume and restart disk scanning later in case of large organizational data. Shows thumbnail preview of recoverable files and folders in demo version before product activation process. 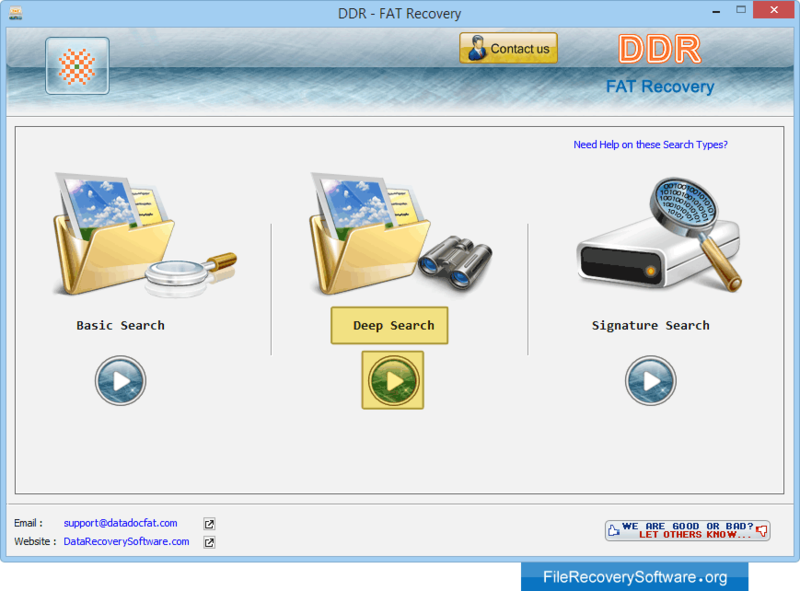 Choose recovery mode among Basic Search, Deep Search and Signature Search. Select drive or partition from physical or logical drives. In case of missing partitions, Click on "Search More Partitions" button.